I generally work in limited palettes of 3-5 colors, but I’ve been having fun recently scaling it back even further to either sepia or indigo with an accent or two. This one is all Daniel Smith indigo and Winsor & Newton burnt sienna. I like this combination. 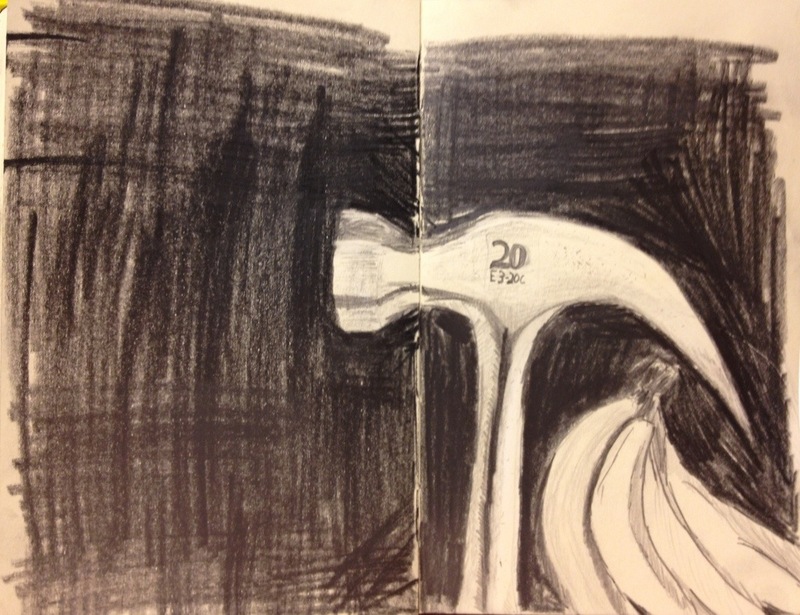 Muted and good for value studies, but with a little more interest. With spring here early, I will probably be getting more colorful soon, but it is nice and relaxing to pick a single subject and focus on it patiently with a simple palette. Not something I have been able to do much of recently. 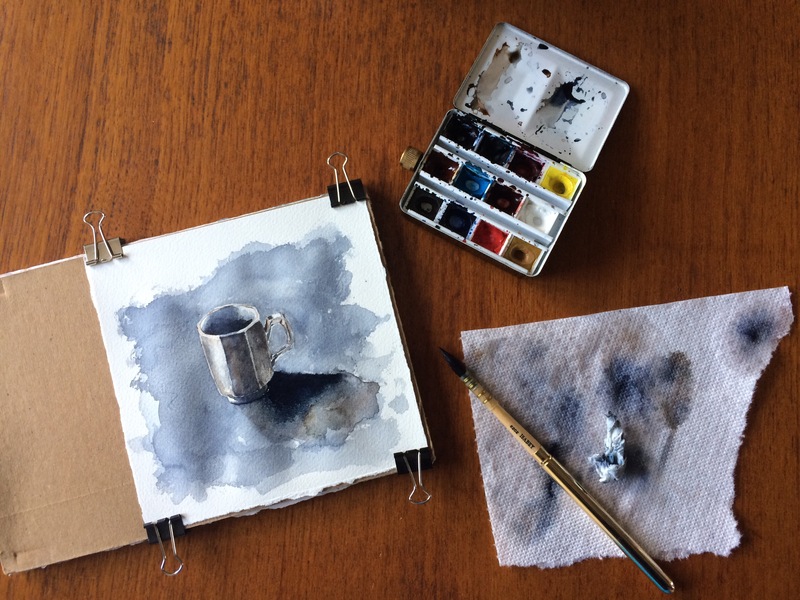 I painted this small cup on 6×6 Fabriano Artistico 90 lb paper entirely with an Isabey pocket squirrel mop. It carries a lot of water and pigment, and is good for washes and details. It is about the same size as a Da Vinci Maestro #6, but seems to hold more water. This might now be my favorite brush, at least for smaller works. Very versatile, and covers more than its small size would sugggest. 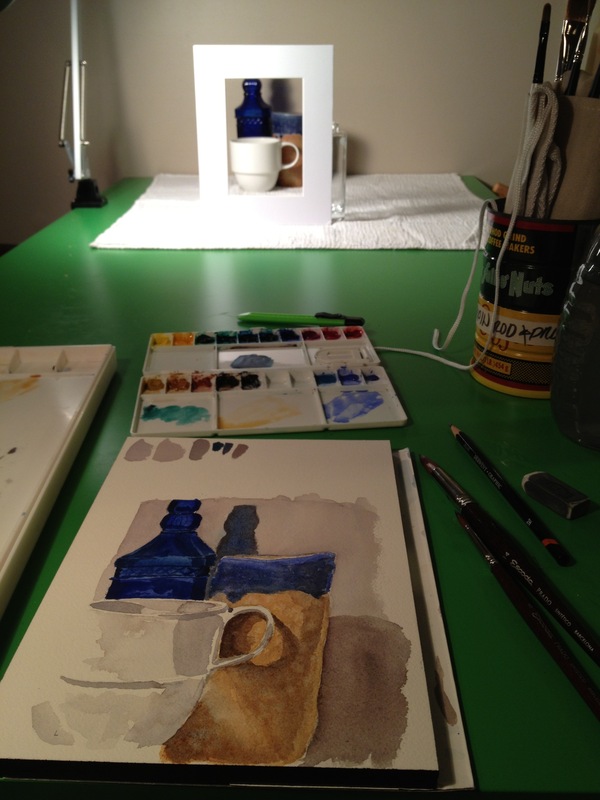 Recently my Dad and I were talking about Giorgio Morandi, still life composition, and the relationship between the representational and the abstract. 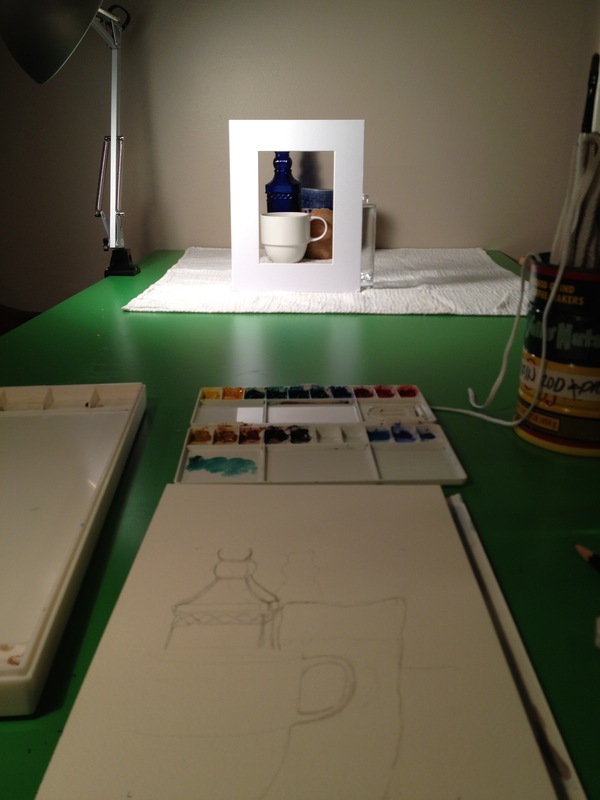 One of the things that struck me about Morandi was the placement of the objects and the amount of open space. 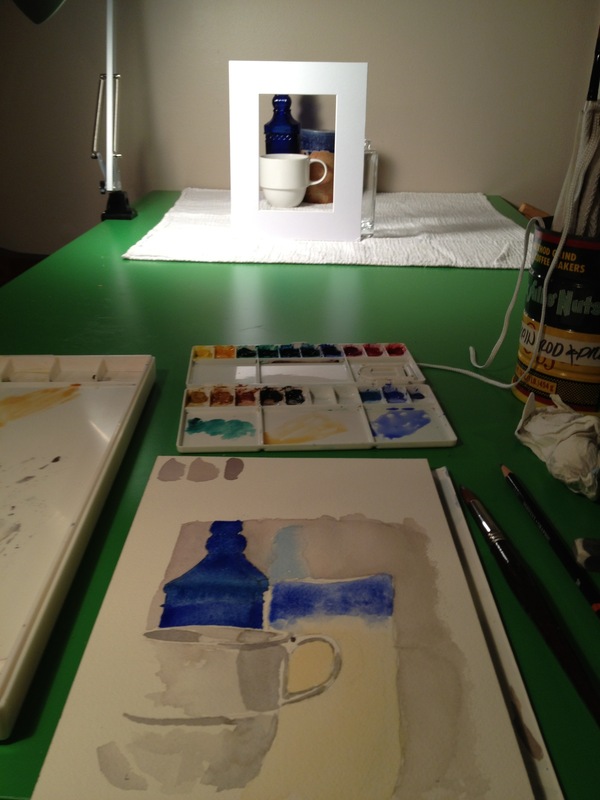 My dad and I wondered what close cropping of Morandi-like still life objects might look like, so we tried an experiment with some photos I had on my phone. 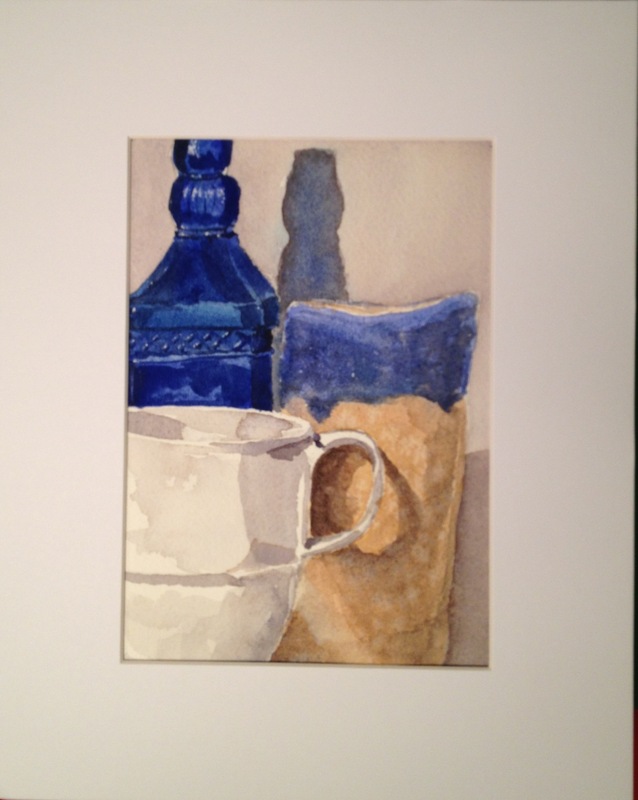 My dad really liked the close cropping, so for Fathers Day, I decided to paint a small watercolor for him with just such an arrangement. Here it is in stages, Dad. Happy Fathers Day.